51 year old Reggae crooner Barrington 'Ainsworth' Levy continues to generate sold out crowds. Recently, Levy and his Detour Posse band brought the house down in Sao Paulo, Brazil with his canary smooth voice and signature sound in a memorable performance. It was simply pandemonium, a release stated of his performance, he wowed the crowd with popular hits such as "Too Experience," "Black Roses" and "Murderer to current sounds from his new album, Acoustic Levy. 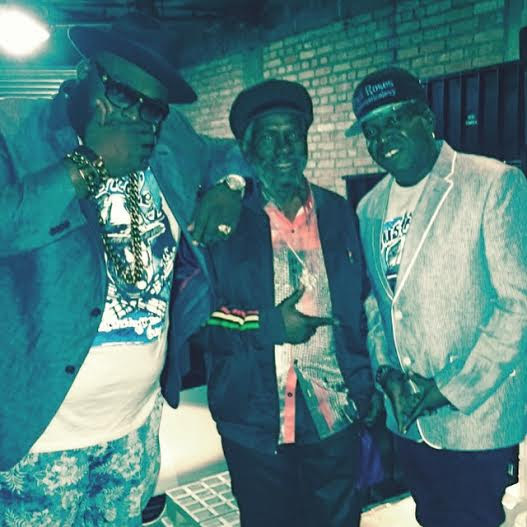 Added excitement to Levy's Brazil performance was the introduction of another veteran, 67 year old Johnny Osbourne. At the closing of his performance, Barrington Levy was greeted by long-time friend and label colleague Johnny Osbourne which sent the crowd in a delighted uproar. The two performed a duet and created an historic moment for their Brazilian audience. Johnny Osbourne rose to success in the late 1970s to mid 1980s and is best known for his hits songs, Buddy Bye on the King Jammys produced Sleng Teng riddim, Ice Cream Love and Water Pumping. Fifty years after his 1967 debut, "All I Have is Love" Johnny Osbourne and Barrington Levy remain vibrant reggae artists with their music still in demand as any recent selection by a younger artiste.